Digital wheelchair scale from Salter Brecknell includes guard rail and wheels as standard features. High weight capacity with 150% rated overload protection makes weighing large individuals possible. Bright red LED display is easy to read. It runs on an AC adapter or rechargeable battery for flexible use. 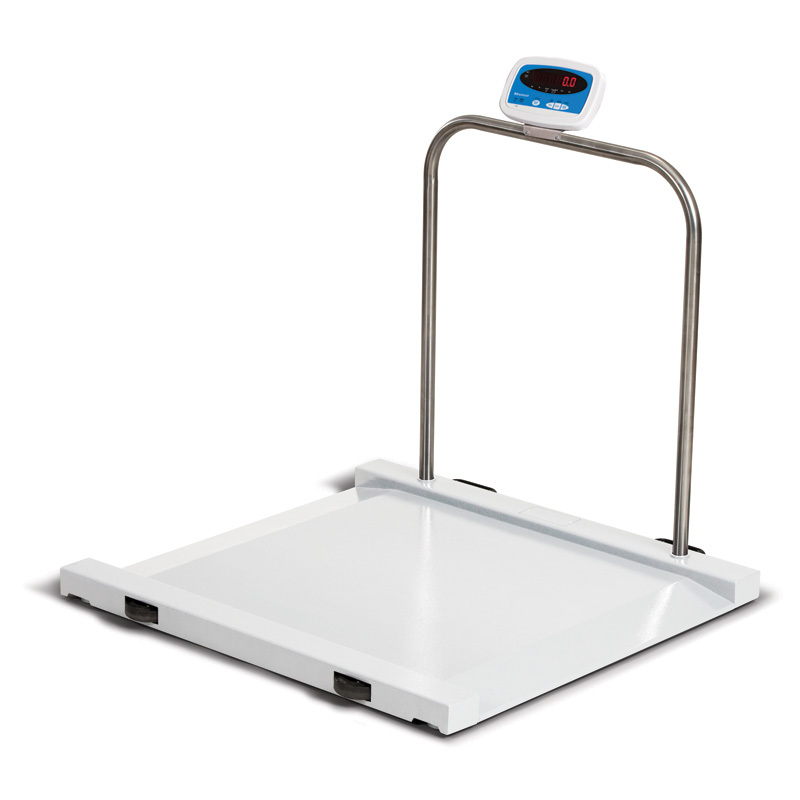 This electronic chair scale was designed for either walking on or being wheeled on to be weighed. The stainless steel handrail provides support for those that are unsteady on their feet. The scale provides accurate weight with easy-to-read bright 0.8" LED display for easy visibility, weight hold feature and wall or desk mount bracket included for display. Operates on internal battery or AC adapter (included). Powder coated rugged steel with smooth top plate surface.with four 1000 ohm load cells. Two handles and wheels to easily relocate with adjustable foot pads to work effectively on uneven floors. Built-in ramp ends for recessed floors. 31.5" x 31.5" x 1.8"